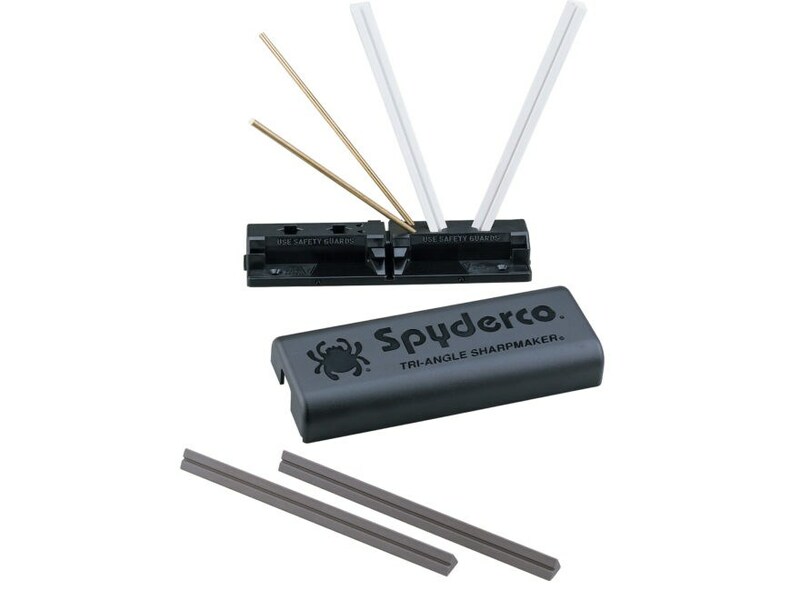 The Spyderco Tri-Angle Knife Sharpening System features high alumina ceramic stones to help you get a razor sharp edge on your knives. The stones have flat edges for sharpening plain edged knives and serrated blades can be sharpened on the corners of the stones. The base for the set has die-cut keyed slots to set the stones at a 30 degree angle (can also be set at 40 degree or 12.5 degree angle). Made for use without any honing oils or water.